Developed in the 1960s for chemical handling and wire insulation and jacketing, Kynar®/PVDF is a registered trademark of Arkema Corp. PVDF stands for polyvinylidene fluoride. Kynar® / PVDF is a tough, engineering thermoplastic that offers an excellent balance of performance properties. It has the characteristic stability of fluoropolymers when exposed to harsh thermal, chemical and ultraviolet environments. Kynar®/PVDF is a highly non-reactive and pure thermoplastic fluoropolymer. Kynar®/PVDF has good creep resistance and weatherability. Kynar®/PVDF is currently used in applications requiring the highest purity, strength, and resistance to solvents, acids, bases, and heat. It is known for low smoke generation during a fire. Kynar®/PVDF has an easier melt process than other fluoropolymers because of its relatively low melting point of around 177 °C. 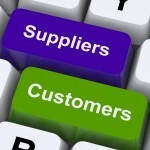 Kynar®/PVDF has a low density (1.78) and lower cost than other fluoropolymers. 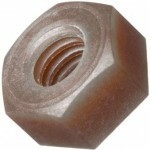 Can be injected, molded, or welded. Used in the injection molding process. Kynar®PVDF is commonly used in the chemical, wet bench, modular clean room, medical and defense industries, chemical industry companies, as well as in lithium ion batteries. Tensile Strength at Yield by MPa/psi standards 5075-7250 with a Max service temp of 300° Fahrenheit. 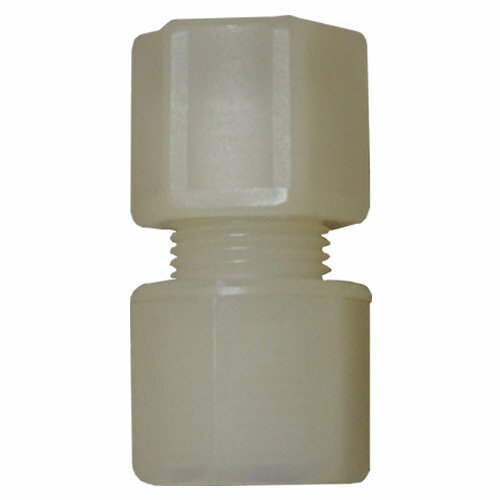 In which applications can you use Kynar® / PVDF within Plastic Fasteners? Kynar® is used in applications requiring the highest purity, strength, and resistance to solvents, Sulphuric acid, Carbon Tetrachloride, Butyric Acid, Boric Acid Aq. and Benzene Sulphate Aq. Kynar® is frequently used in semiconductor production, wet bench, modular clean room, chemical industry companies, and clean room industries. 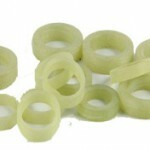 It is also used in everyday products such as fishing line, musical instrument strings, and lithium-ion batteries. When choosing components and fasteners for manufacturing and production, it’s important to consider the application, the environment of the finished products and the characteristics of the materials available. Plastics, and especially some of the advanced composite materials, make a great choice for many applications and offer exceptional strength and resistance to wear. 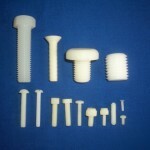 Kynar® is a choice within a wide variety of plastic fasteners, but it’s not used in every application. If you have any questions on the properties of nylon plastic fasteners, or its use within your application, please do not hesitate to contact us. We’re here to help! 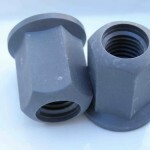 Nylon Plastic Fasteners -Why Consider? This entry was posted in Plastic Fastener Materials on April 14, 2015 by E&T Fastener Components.